Do voice lessons really work? While most voice coaches and teacher will definitely prompt you that they are worth it for a lot of reasons, we totally understand there is still lingering doubts about singing lessons in your mind. 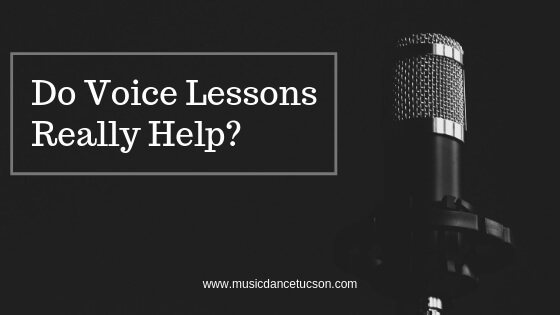 But to help you really get a deep understanding of what taking voice lessons can help you achieve, here are the best reasons why you should opt for them. One of the biggest obstacle for an individual to not opt for voice lessons is the belief that they are tone deaf or that they sound horrible. However, this is one thing that you can definitely overcome with the help of much needed voice lessons. Just because you have difficulties distinguishing notes or reaching the right pitch does not mean that there is no hope for you anymore. Your vocal coach can help you learn the basics such as improving your pitch or tone, holding onto notes, reading musical scales. And how to hone in on the proper notes when singing. Don’t give up hope just yet. Your voice is like any other musical instrument. With continuous practice and a great teacher, you will definitely improve. You may have seen televised competitions where a participant is given tips about proper breathing techniques while singing – and, this is another thing that you will get out of voice lessons. Singing requires a comprehensive understanding of lung usage and breathing techniques in order to produce the best sound. With singing lessons, you will learn how to control your breathing and time it with the music, so you won’t be left gasping for air every time you sing. We all have our own vocal ranges that we are comfortable with. With vocal lessons, you can find out what your range is and learn how to choose songs that best fit your vocal range. Furthermore, you will even be encouraged to go out of your comfort zone and blow past the vocal range that you initially had.